Standing in front of a record crowd of more than 70,000 baseball fans in Cooperstown, N.Y., in July 2007, Rick Hummel got caught up in the moment. That’s something journalists try not to do. This time, though, it was understandable. 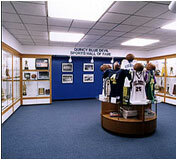 Hummel, a Quincy native and 1964 graduate of Quincy High School, became the first Quincyan inducted or honored by one of the major sports Hall of Fames when he received the J.G. Taylor Spink Award for baseball writing. 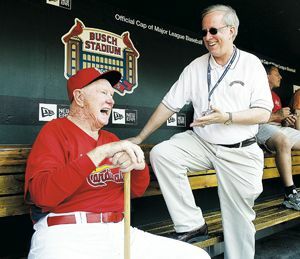 Having covered his first major league game in 1973, Hummel was the St. Louis Post-Dispatch baseball beat man for the Cardinals for 24 years and is in his seventh season as the baseball columnist for the Post-Dispatch. He has covered 30 World Series and 28 All-Star Games. Hummel also has reported on pro basketball, hockey, college football and basketball and boxing for the Post-Dispatch, for whom he has worked for 37 years. Rick was national president of the Baseball Writers Association of America in 1994 and was voted Missouri sports writer of the year four times by the National Sportswriters and Sportcasters' Association. He serves on the Baseball Hall of Fame Overview Committee, which reviews the candidacies of former players for possible selection to the Hall by the Veterans Committee, and was on the special committee that elected several former executives to the Hall of Fame last December. Hummel, who attended Quincy College for two years, is a 1968 graduate of the University of Missouri School of Journalism. Hummel has a son, Scott, and two daughters, Christy and Lauren. "I would never have become a sports writer had it not been for Melvin Tappe, a QHS Hall of Famer and my former driver’s training instructor at Quincy High School. One day, while on a driving mission, Tappe asked me what I wanted to be when I grew up. I said I wanted to be a sportscaster and, indeed, I had done spotting work for Melvin and twin brother Elvin when they broadcast QHS games in the 1960s. I had tried out for a radio job at WGEM when I was 12 years old. But Melvin Tappe, whose brother was managing the Chicago Cubs at the time, told me that all the broadcasting jobs were going to go to former players and not necessarily school-trained broadcasters. This was in 1962 but he was dead-on, as you can see. Tappe told me I ought to be a sports writer, something I never had thought of. So when I got out of high school and went to Quincy College, I signed on to work the school newspaper. Except for one problem. I didn’t know how to type. My mother did some professional typing on the side and she agreed to type my articles, which I had written out longhand. The next year, seeing how impractical it might be for my mother to accompany me to all the games, I took a typing class and the next year I went to the University of Missouri for journalism school. While in college, I worked two summers for the Quincy Herald-Whig. After college, I worked two years at the Colorado Springs Free Press/Sun while I was in the Army, and then I was hired by the St. Louis Post-Dispatch in 1971 and have been there ever since. I have covered baseball for 36 years and have learned a lot, mostly by just listening, from some of the best managers in the game — Whitey Herzog, Red Schoendienst, Joe Torre, Tony La Russa — and have been privileged to cover such Cardinals Hall of Famers as Lou Brock, Bob Gibson, Ozzie Smith and Bruce Sutter and later, much later in some cases, we still are good friends. I would like to thank my family for their encouragement through the years and especially my girlfriend, Debbie Medbury, who always has kept me on the right path. Mostly, I would like to thank Quincy High School for giving me a solid education — and for Mr. Melvin Tappe being in the right place at the right time for me. 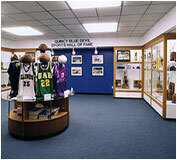 It is an honor to join some of the school’s great athletes and coaches in the school Hall of Fame." 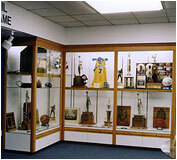 Return to the Hall of Fame Inductee Page.